Record and play Full HD video. With ultra-fast read & write speeds upto 95MB/s & 20MB/s respectively, the 32GB EVO Plus lets you transfer a 3GB video to your notebook in just 38 seconds. Shoot high quality photos and videos, and share them all in an instant. Never worry about space again.With massive amounts of storage the 32GB EVO Plus is enough memory for up to 1 hour and 30 minutes of 4K UHD video, 4 hours of Full HD video, 7,500 photos, or 3,000 songs. So go ahead and savor all of what life has to offer, and keep it all too. 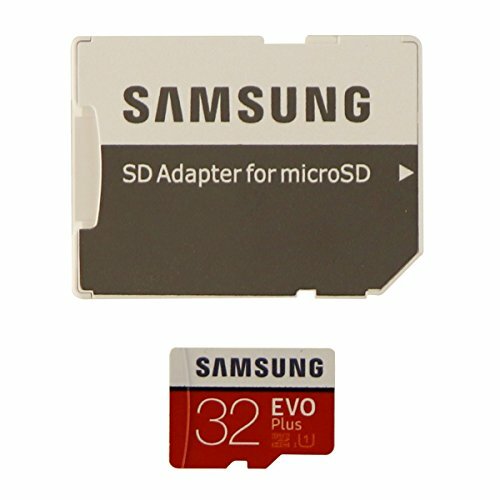 Compatible with a wide range of devices for both SD and micro SD. You can even capture detailed Full HD video. The included SD adapter fits most devices under almost every brand name, while preserving all of EVO Plus' outstanding speed and performance.